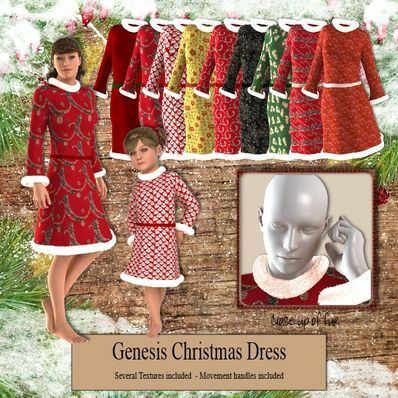 A Christmas Dress for Genesis for use in Daz Studio 4.6. Several textures for the Dress. Movement handles included. Simply adorable! Love the fur collar and cuffs. Great textures, thank you so much! Adorable, Thank you! Christmas is just around the corner.